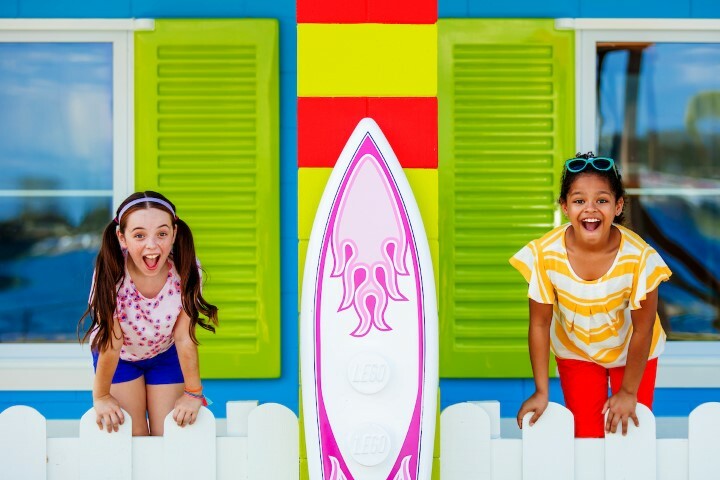 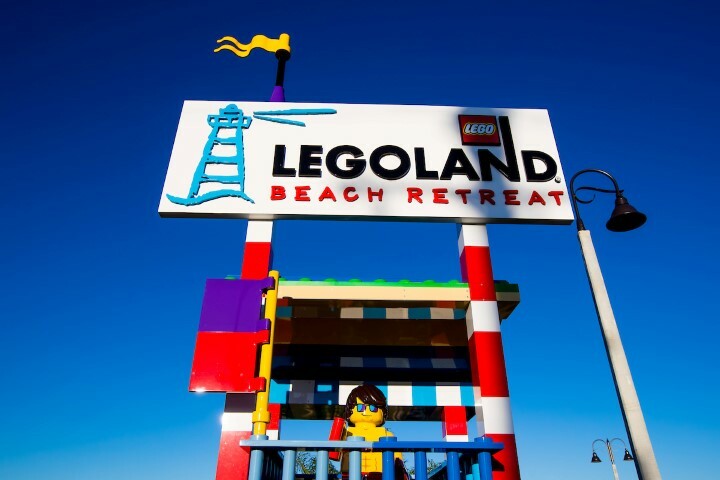 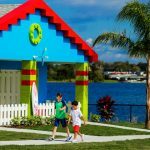 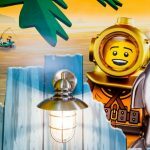 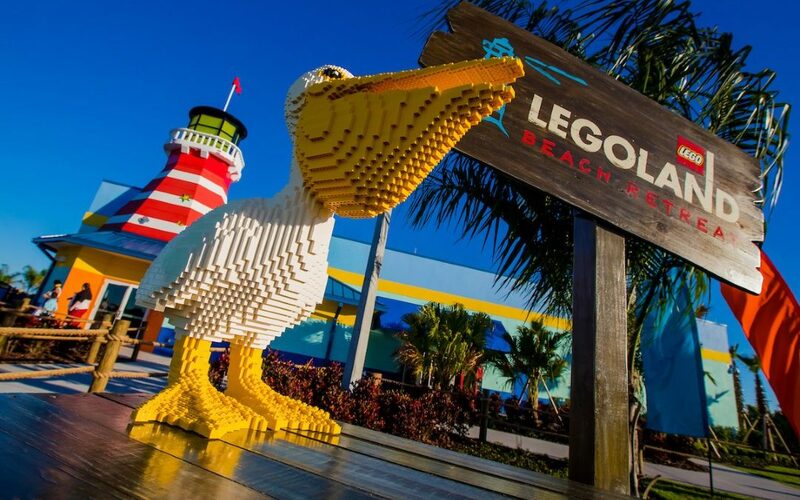 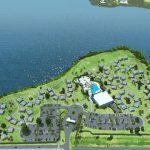 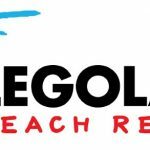 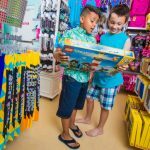 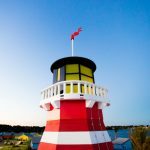 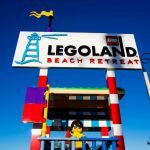 LEGOLAND Florida Beach Retreat now open. 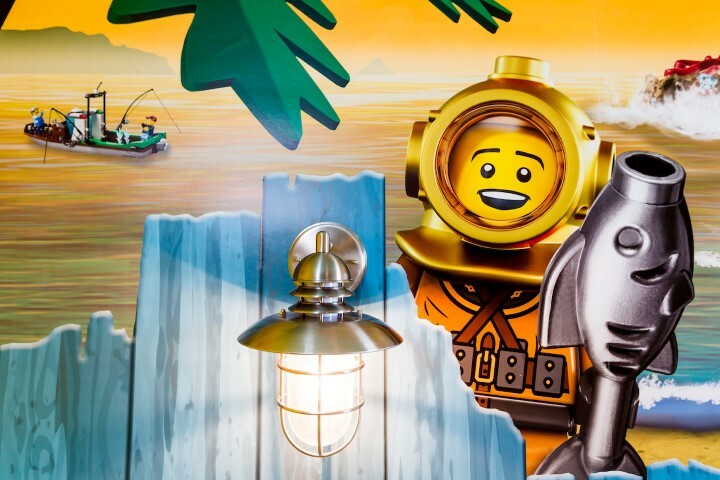 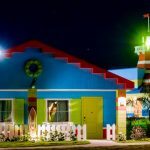 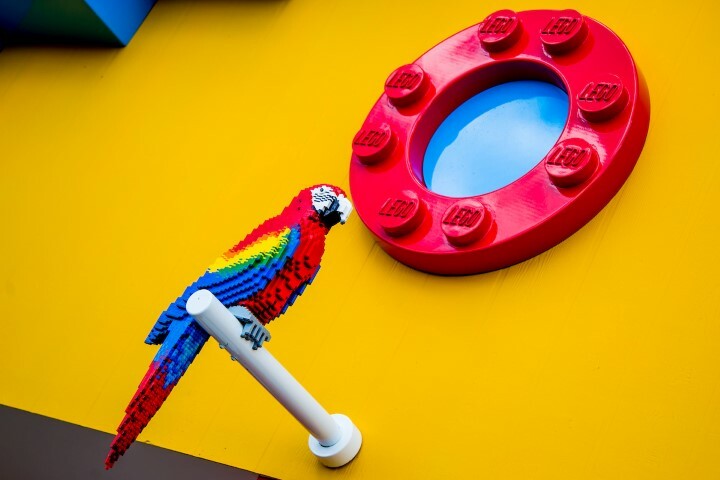 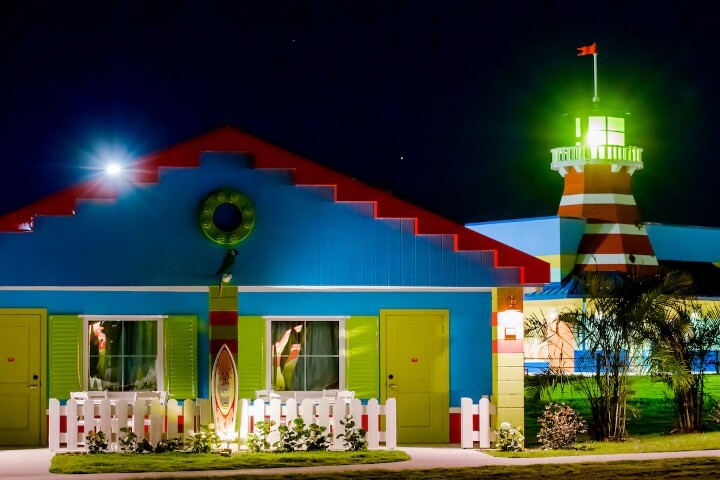 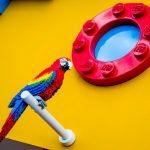 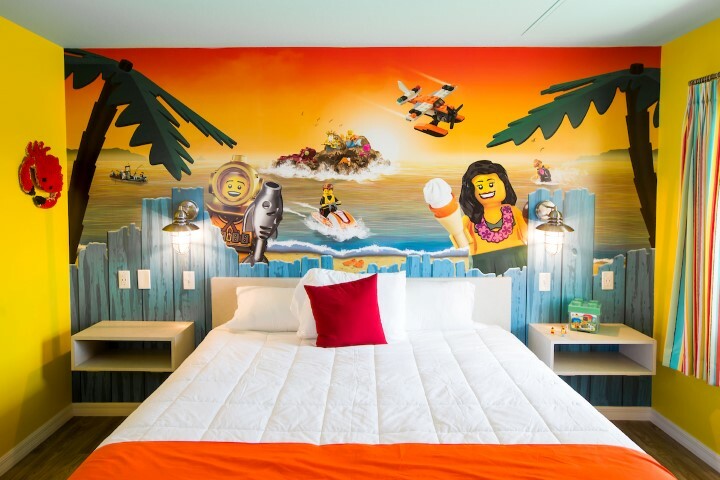 Filled with creative LEGO® theming inside and out, the village-style vacation resort features brightly colored bungalows grouped into 13 horseshoe-shaped “coves” named after popular LEGO Minifigures. 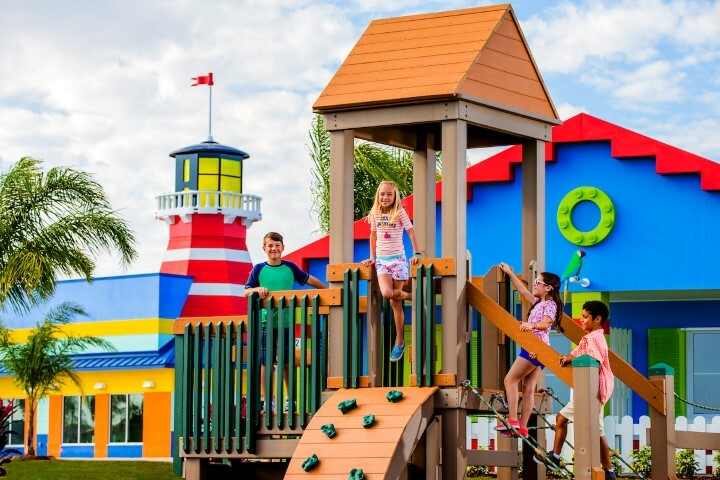 The fun begins almost immediately, thanks to a drive-through check-in process that takes you from your car to your cove in minutes. 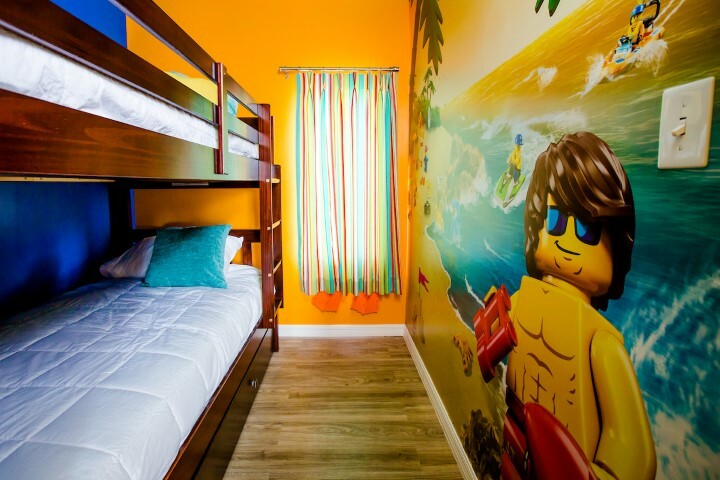 Designed to look like larger-than-life LEGO sets, 83 bungalows offer 166 separate rooms that sleep up to five, including a cozy area just for kids with a bunk bed, trundle-bed and privacy curtain. 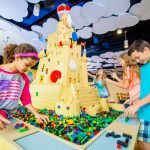 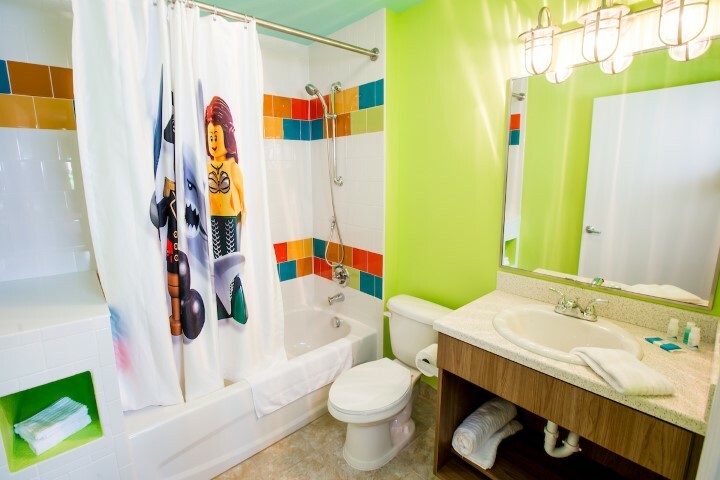 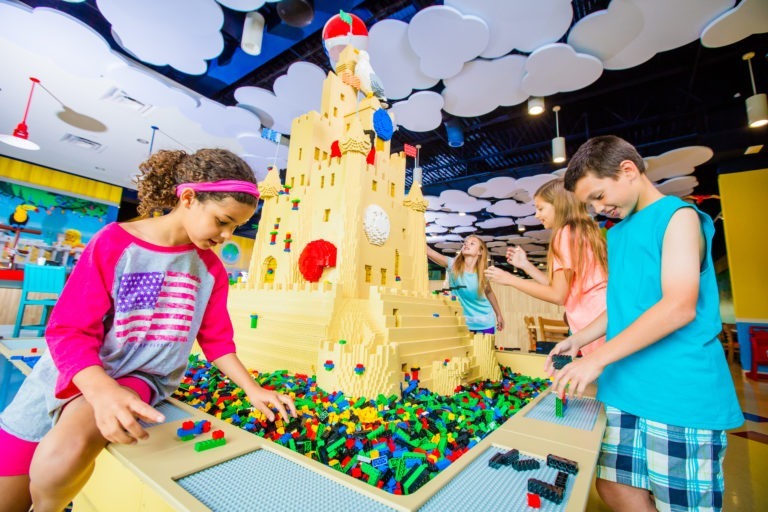 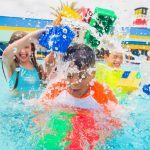 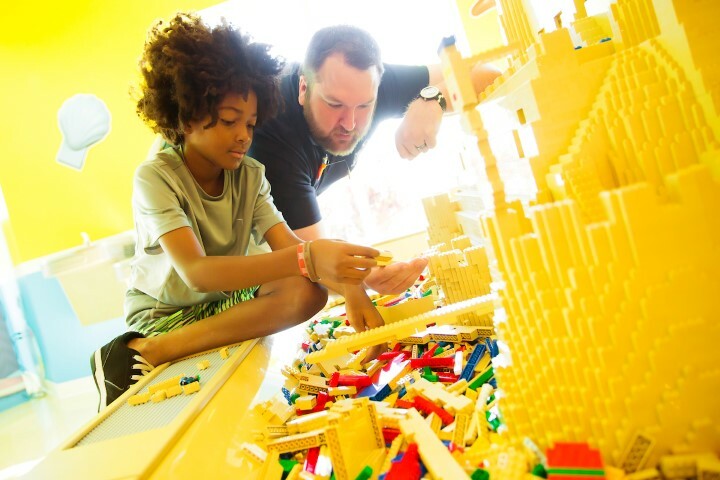 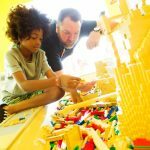 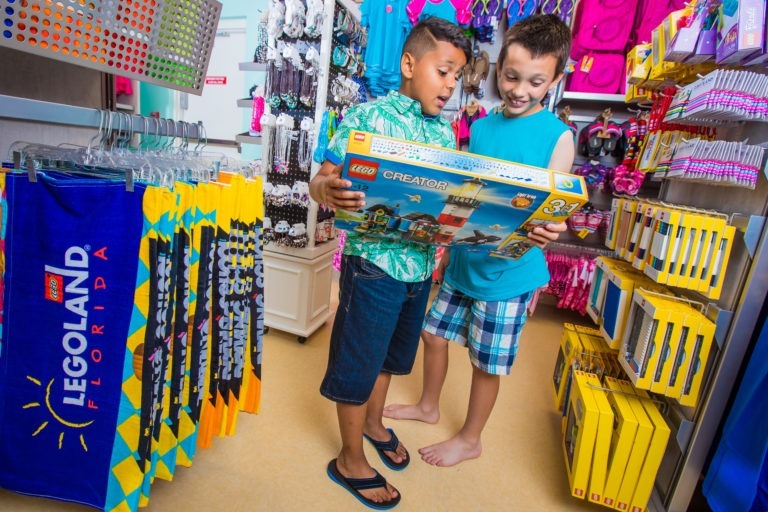 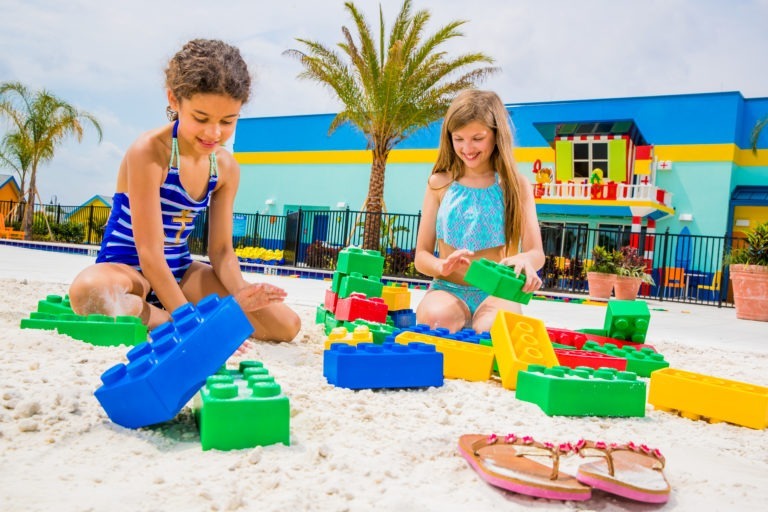 They’re an ideal solution for families and groups traveling together, or for those seeking a fun new way to vacation at LEGOLAND Florida Resort. 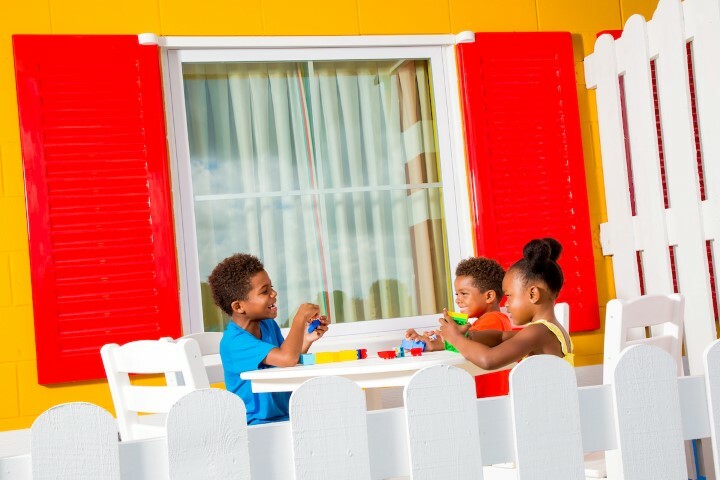 Each cove has its own outdoor play area within view of the bungalows’ shaded patios, where mom and dad can relax while kids romp and run. 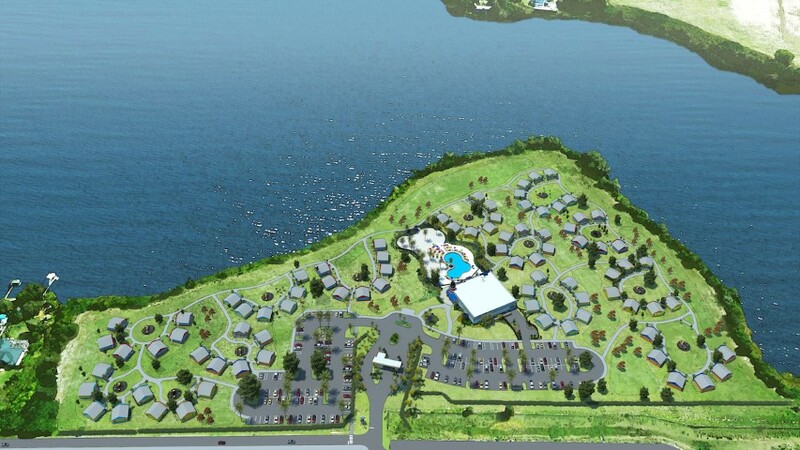 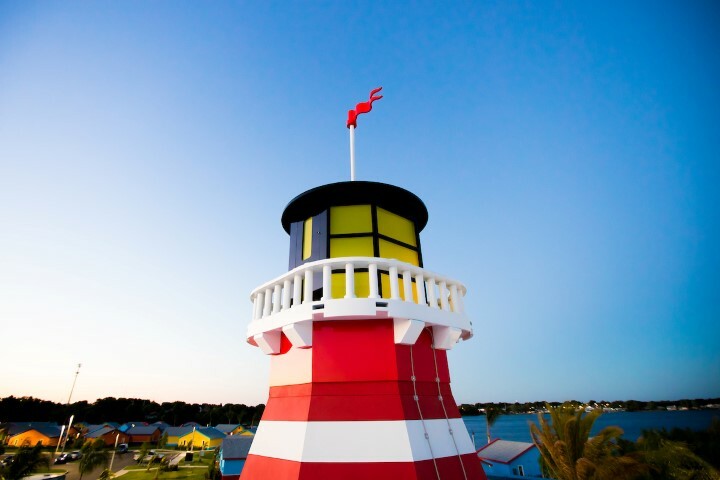 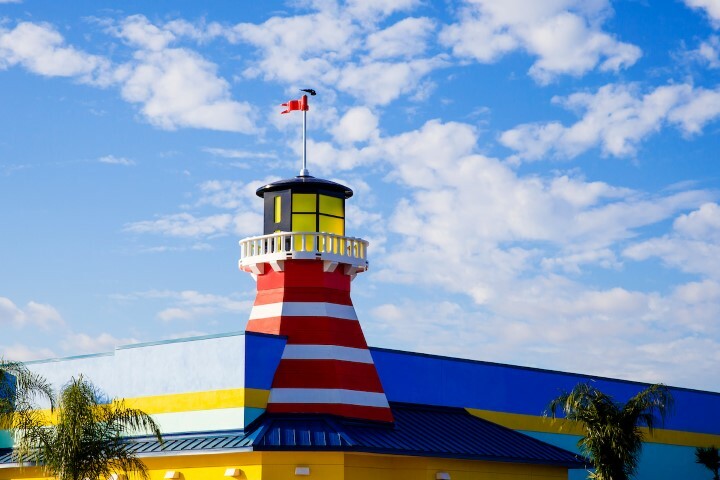 A giant swimming pool next to The Lighthouse, with an adjacent sandy area perfect for building sand castles and the resort’s biggest outdoor play structure for kids. 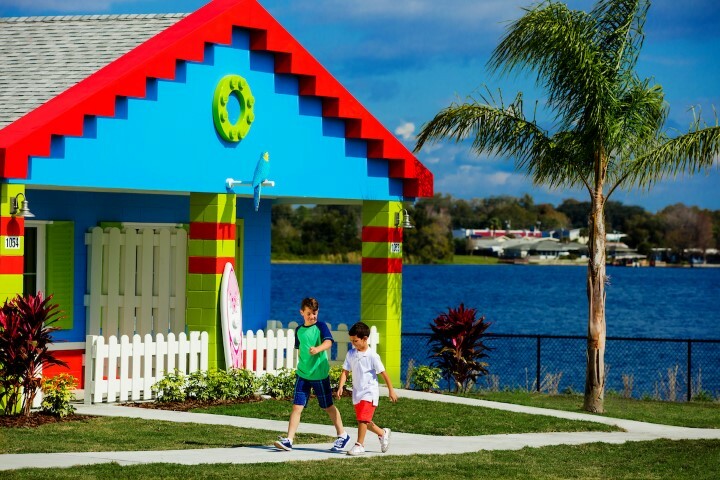 Located three-quarters of a mile from the theme park entrance on the tranquil shores of Lake Dexter, LEGOLAND Beach Retreat represents the latest milestone in the largest period of growth and expansion in the five-year history of LEGOLAND Florida Resort, with theming and architecture unique among the eight LEGOLAND resorts worldwide. 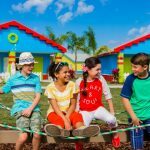 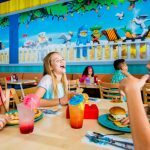 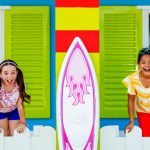 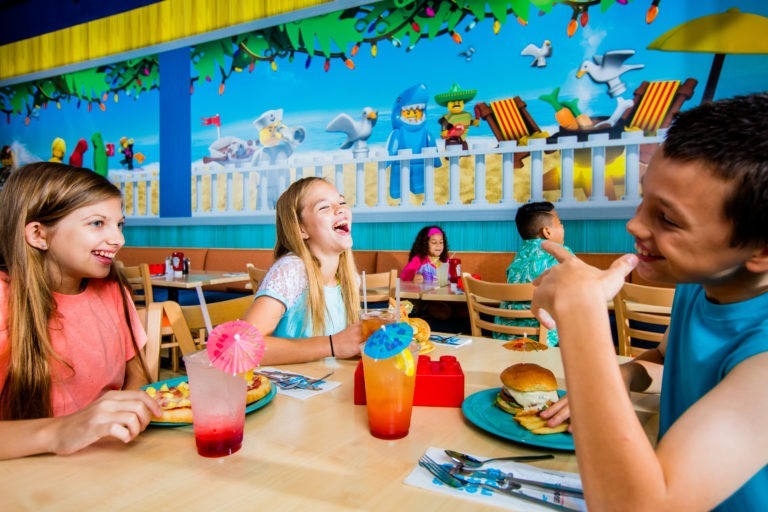 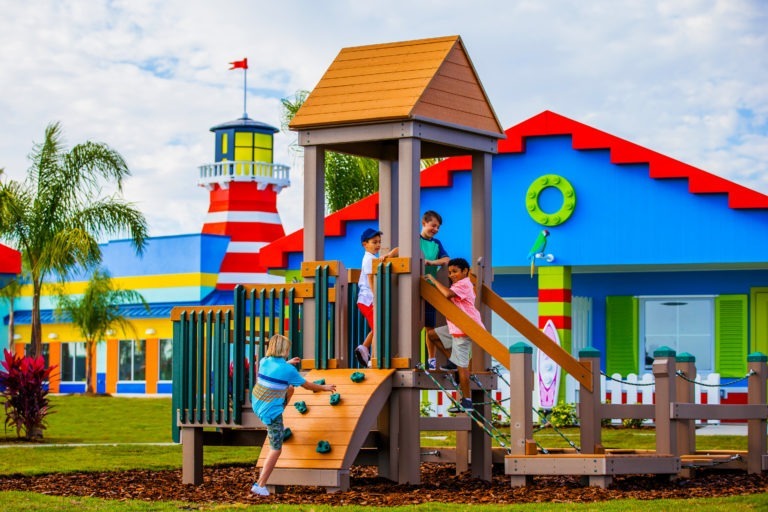 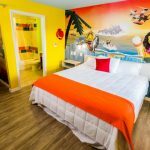 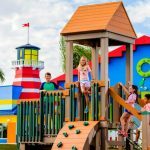 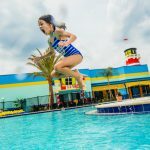 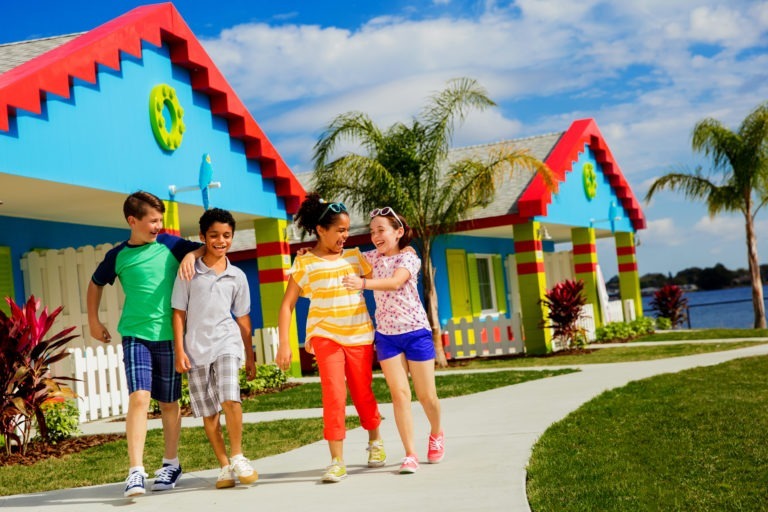 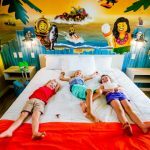 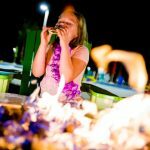 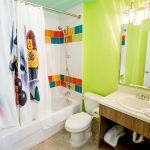 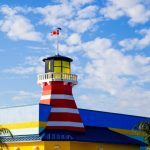 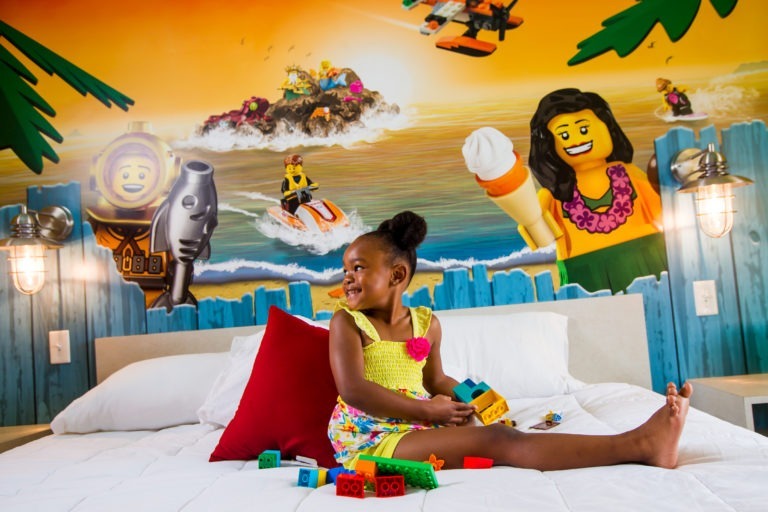 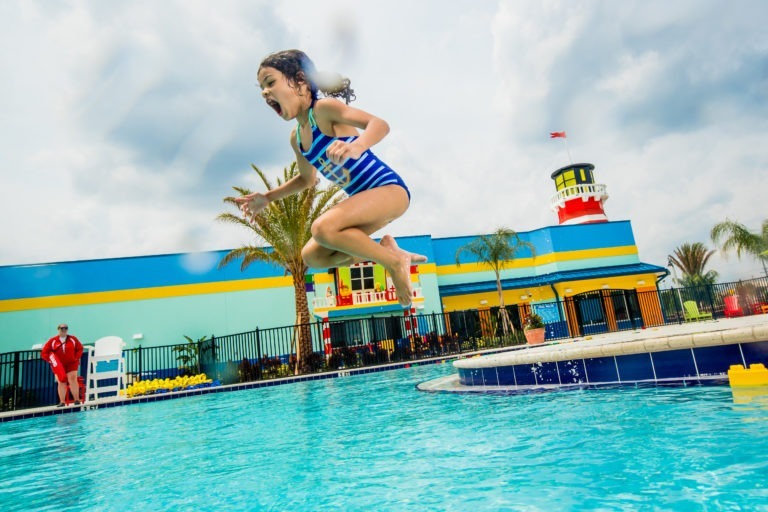 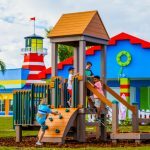 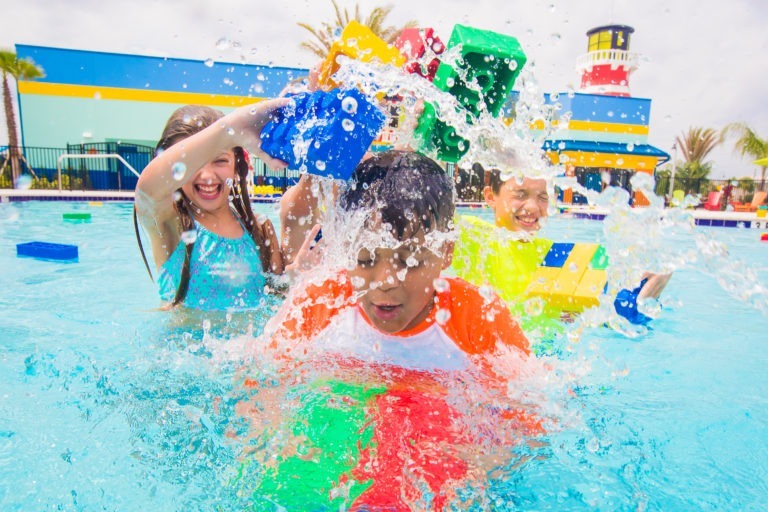 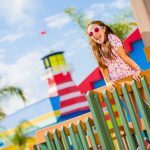 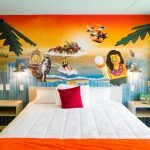 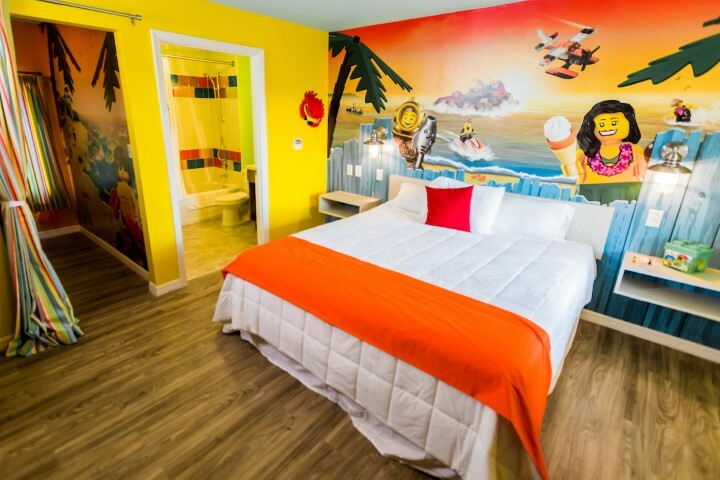 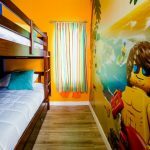 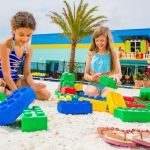 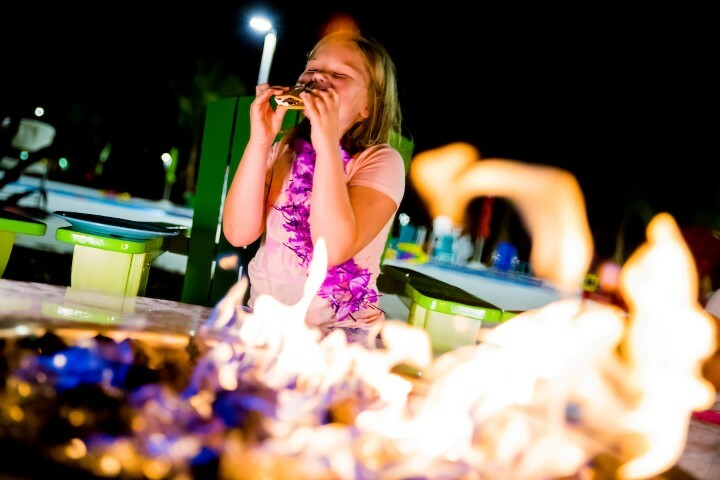 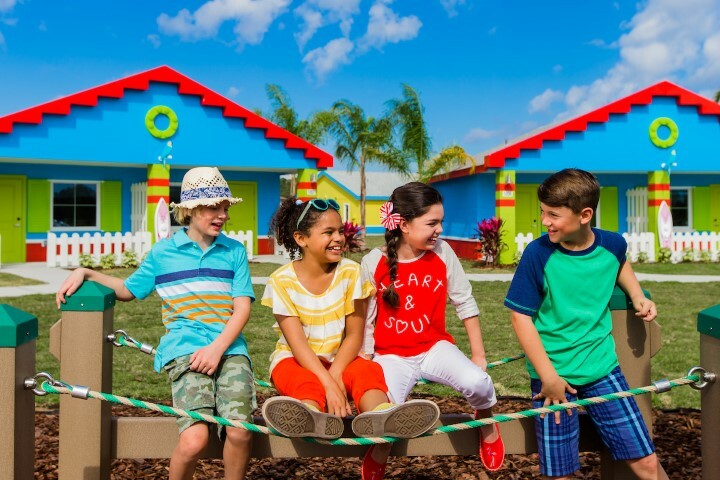 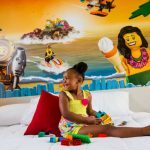 The Florida site is the first LEGOLAND resort in North America to offer a second accommodation type for overnight and multi-day stays and more than doubles accommodations at the resort. 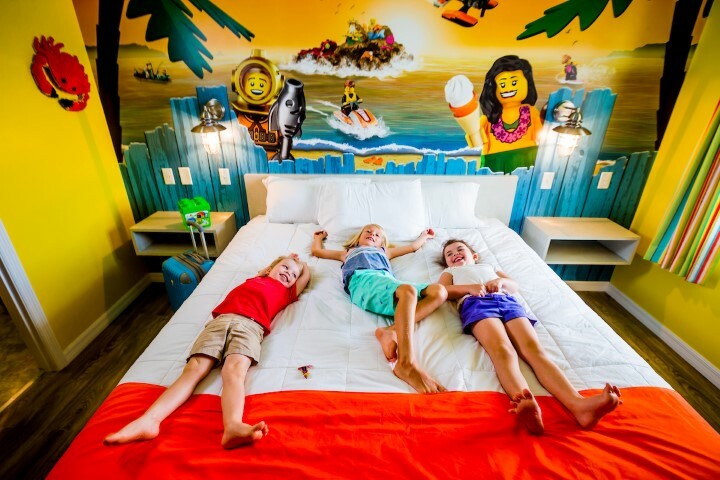 Nightly room rates start at $135 (plus tax and resort fee) and vary by season, date and availability. 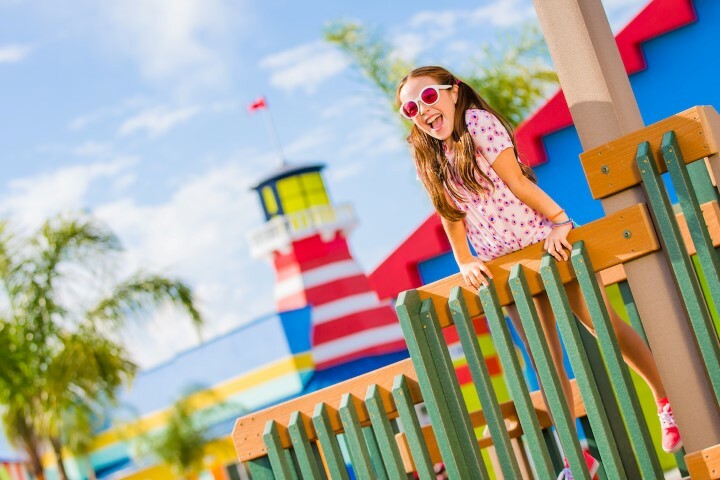 Packages including theme park tickets also are available, and Awesomer and Awesomest Annual Pass Members receive a 10 percent discount year-round. 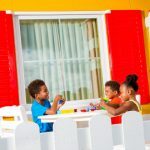 To book a stay, visit www.LEGOLAND.com/florida or call (877) 350-5346 daily from 9 a.m. to 5 p.m. Eastern.